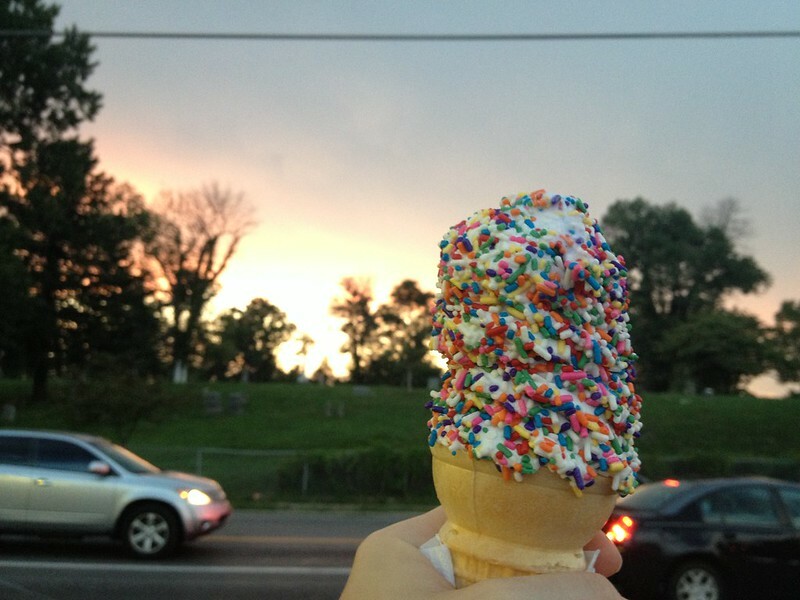 Our most recent creamy whip journey was highly recommended by friend and CincyWhimsy reader Steph. Her favorite place to cool off is down the street from her home in Northside, yet off the beaten path from the area most visitors patronize. 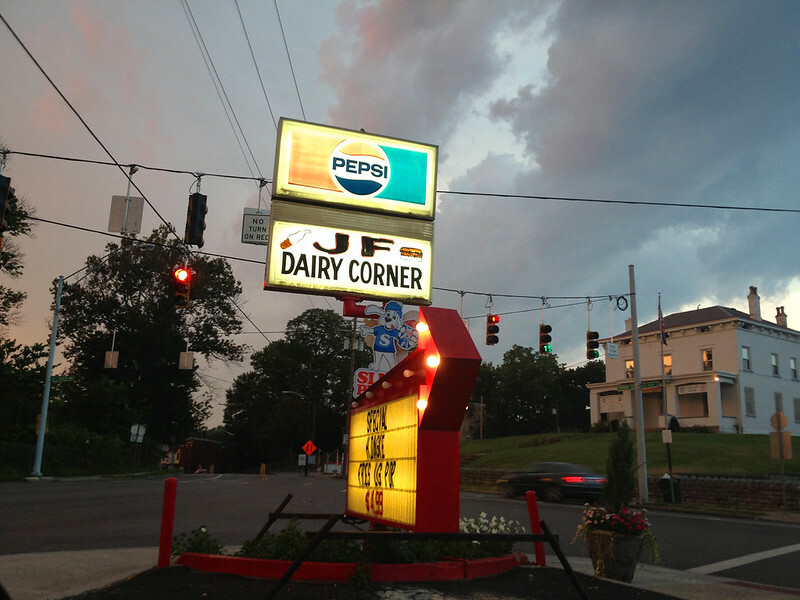 JF Dairy Corner is located on a triangular asphalt island at the intersection of Blue Rock and Colerain Avenue, just down the street from Queen City Cookies. 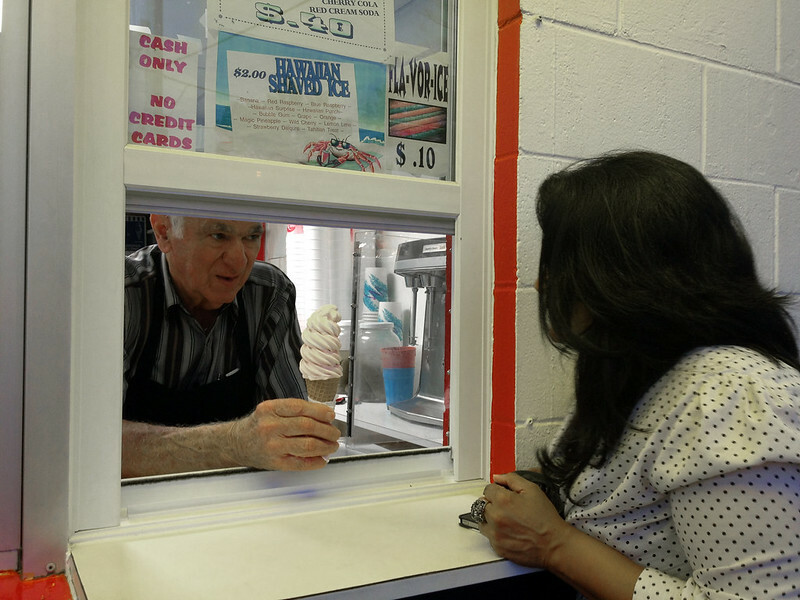 A true Mom-and-Pop ice creamery, my friend and I were greeted by owner Juan Figaro, the man who puts the JF in JF Dairy Corner. He and his wife, Yolanda, immigrated from the Dominican Republic in 1961, then opened up their creamy whip in August of 1980. 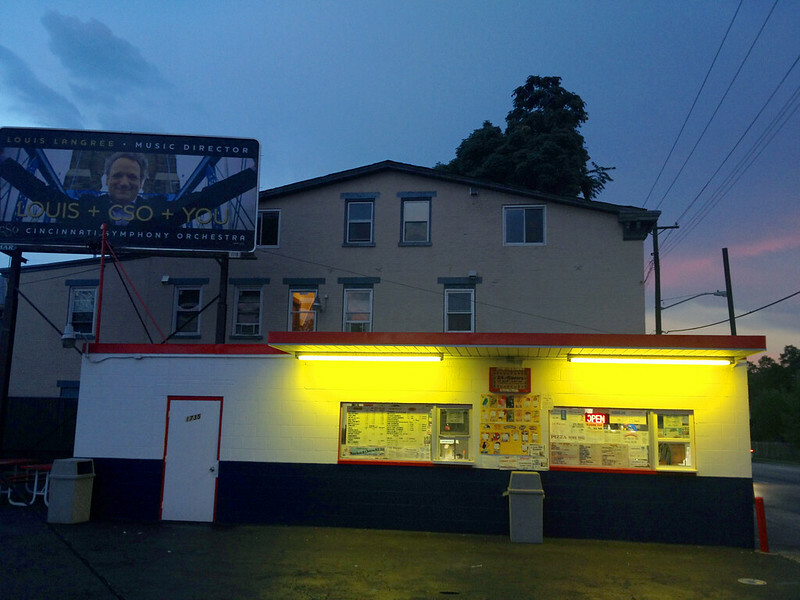 Juan joked, "We decided to get into the ice cream business because we only have to work eight months out of the year." 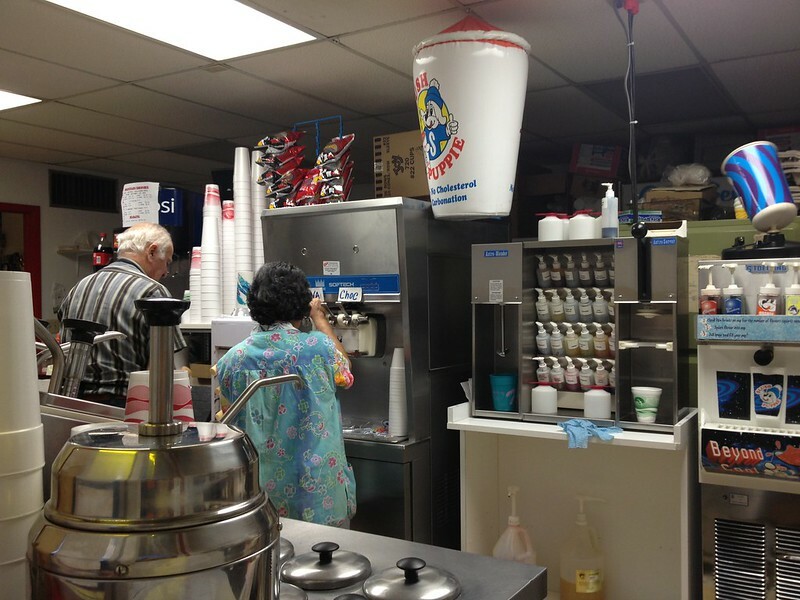 While Juan takes customers' orders from the window, Yolanda concocts the sweet treats. 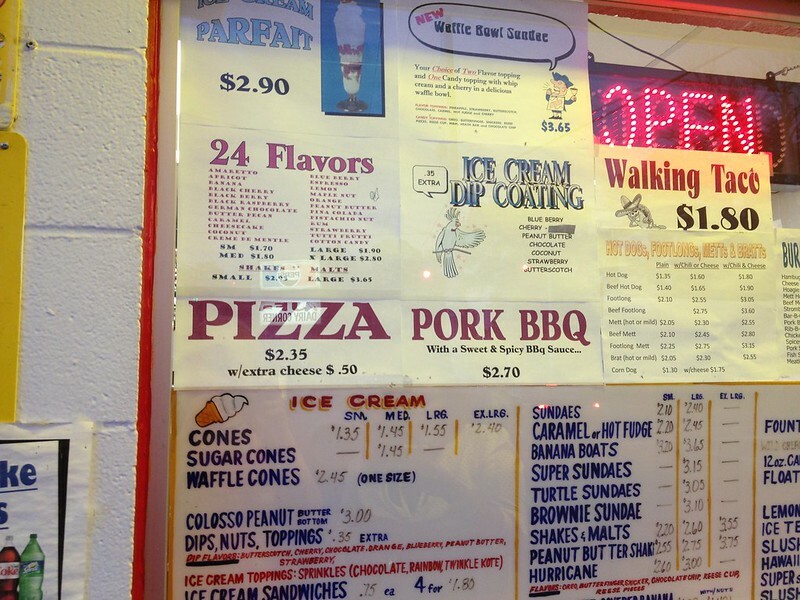 In true creamy whip fashion, their glass window is plastered in hundreds of items, from sundaes and Slush Puppies to hot dogs and BBQ sandwiches. 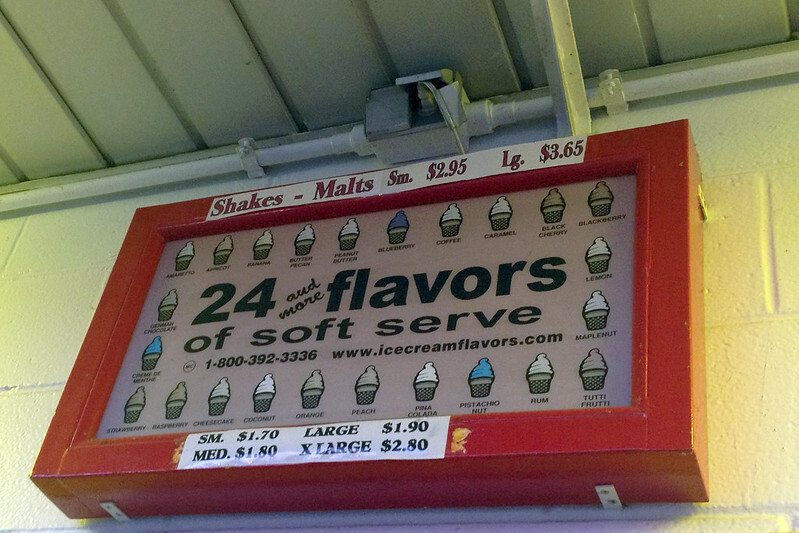 What they're known for, though, is 24 flavors of soft serve. 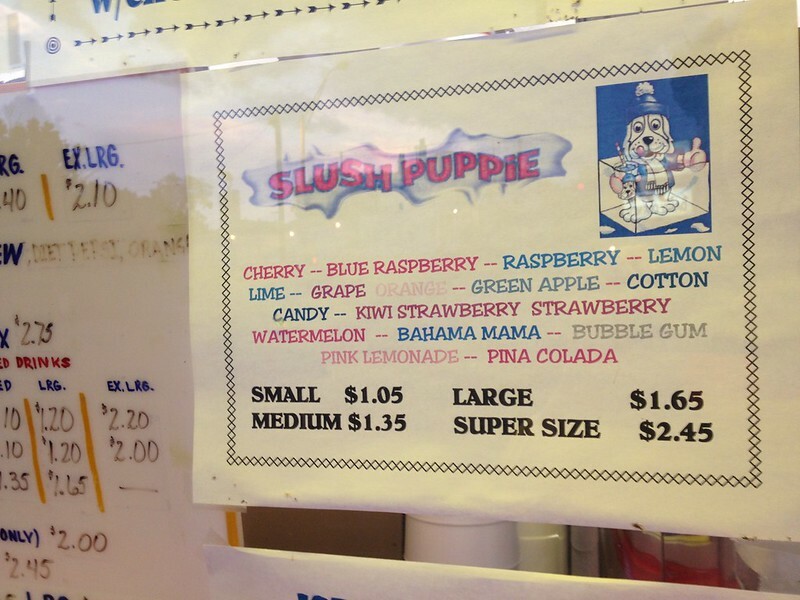 In a cone, milkshake, or a Slush Puppy float, any of these flavors can be mixed up however you'd like. I ordered a blueberry soft serve with rainbow sprinkles; my friend selected a black cherry cone. 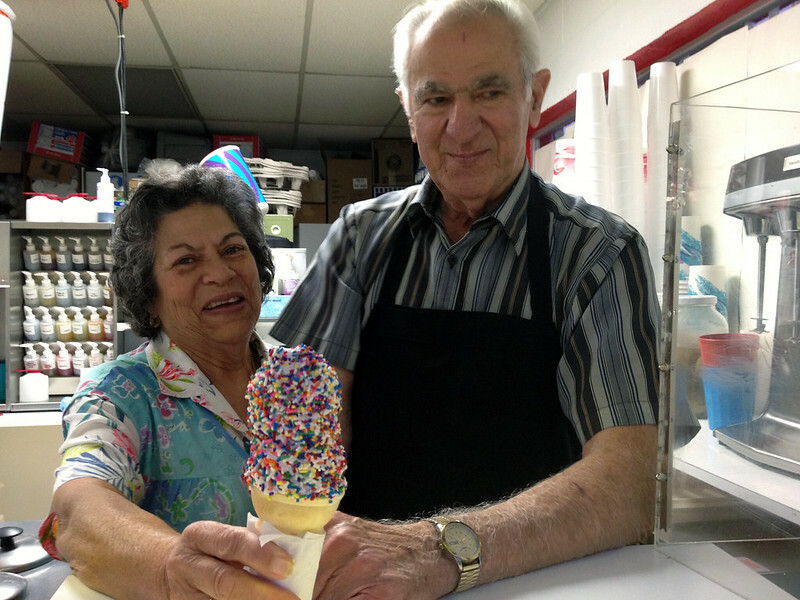 Served up with a smile, Juan and Yolanda are as sweet as their ice cream. As Labor Day brings summer to a close, be sure to make a visit to this 33-year-old family affair, still run by the first generation.